As Scientific and Nutrition Manager of the Infant Nutrition Council of America, Mr. DeVirgiliis manages efforts related to emerging nutrition science, as well as science policy and regulatory activities in the US and internationally. In his role, he is able to provide science based facts to support decisions regarding infant feeding by breaking down often complex nutrition into easy-to-understand information. 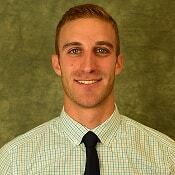 Mr. DeVirgiliis holds a masters degree in public health, with a focus in epidemiology, from George Washington University and B.S in Nutrition Science from Cornell University.